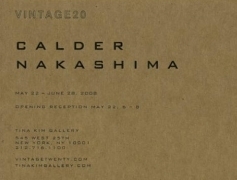 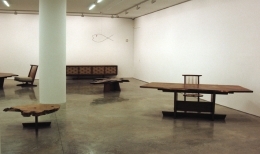 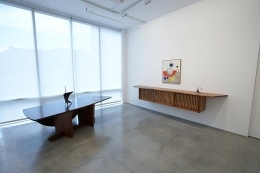 Tina Kim Gallery and Vintage20 are pleased to present an exhibition of works by Alexander Calder (1898 -1976) and George Nakashima (1905 - 1990). 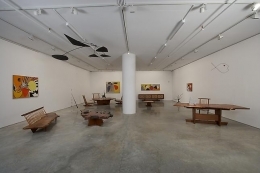 The exhibition will celebrate the material ingenuity and superb craftsmanship of both Nakashima and Calder, while simultaneously revealing conceptual connections in their respective work. 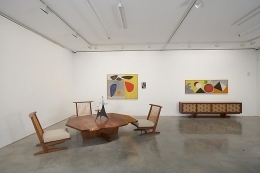 This promises to be a rare opportunity to view two twentieth century masters in conversation. 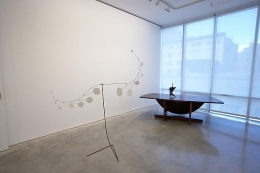 Alexander Calder's innovative approach to form and sensitivity to materials is best personified in his iconic mobiles, but throughout his oeuvre there can be seen a strong embodiment of his belief that "an artist should go about his work simply with great respect for his materials." 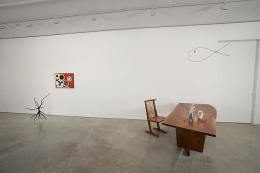 The exhibition will showcase some of Calder's most unique early sculptures — pieces that establish his major themes of balance and play. 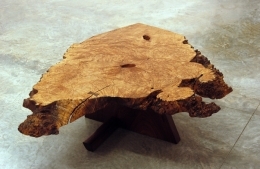 It is this combination of formal acuity and material ingenuity that provides a natural link to the work of his contemporary, George Nakashima. 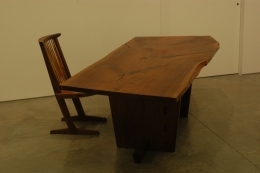 The furniture of George Nakashima is celebrated for its rough-hewn elegance coupled with his ability to animate the massive pieces of wood that were his chosen medium. 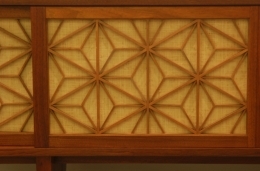 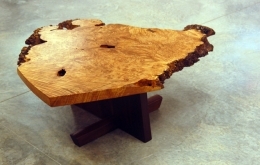 The essence of Nakashima's design is its effortless balance of material mastery with spiritual values. 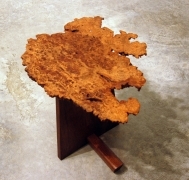 "I want to give life to trees," he famously stated and his furniture designs do just that, expertly combining the natural burls and idiosyncrasies of the natural wood with the perfect poise of the designer.